Now at a later date, one of your team members decides that he/she would like to extend the functionality of Sales Class by adding a new method called as CalculateServiceTax. As a usual practice, we would inherit the class and build our functionality. But this is not possible as our class is a sealed class [Not Inheritable class]. Another way could be that your team member may request the owner of the Sales class to add an additional method for calculating service tax in it. Although this would do the job, there is a higher chance that this may break the compatibility of other modules and projects with this class. So in most cases, this request will be denied by the owner of this class. When I create an instance of the class PrintTextHelper present in the GameHelperAPI DLL, I find that the TextExplode method is not available in the third party API! Alas, that’s not what I had expected as I thought this method is available in the class. The question is can I extend the class PrintTextHelper from the GameHelperAPI to add the TextExplode method? It’s obvious that I do not have access to the source code of the third party API [not applicable in special cases]. So I cannot change the original type to add a new method. I will try and inherit the class only to find out that I cannot do it because the class has been declared as sealed by the third party provider. These kinds of issues are frequently encountered in our development scenarios where we are restricted to extend types. 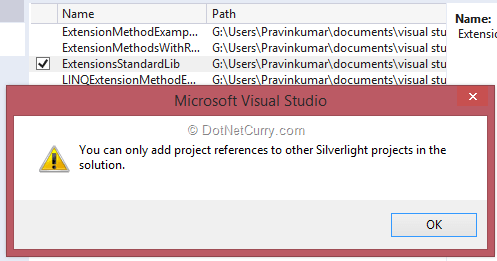 Similarly the .NET Framework classes also have similar restrictions. So it this is a dead end? In .NET 3.5, a new concept called Extension Methods was introduced. Extension methods allow you to add new methods or properties to an existing type like a class or structure [includes Custom APIs, Framework APIs and third party APIs] without inheriting or modifying these existing types directly. 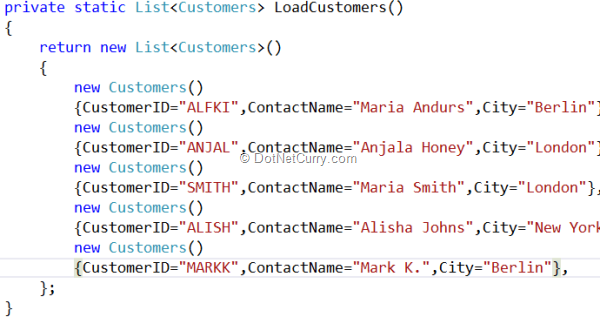 In the Microsoft .NET framework, the most common extension methods can be found in LINQ which extends the System.Collections.IEnumerable / System.Collections.IEnumerable for query operators. Using extension methods in different languages. 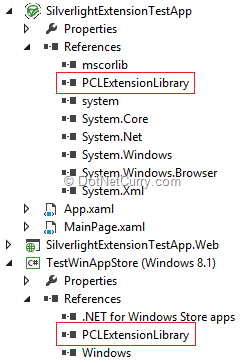 For example extension methods declared in C# will be used in VB.NET. The .NET framework has made use of Extension method for extending the framework classes as we saw in our example. We will now try creating our own custom Extension method. I have created a console application which we will use to test our custom Extension methods. Extension method are declared in a static class. All the extension methods must be static. The first parameter of the Extension method is a type which we want to extend, so it must be declared with this keyword. Using extension methods, we can extend classes, structures, interfaces, collection classes etc. The extension method is available under the scope of the namespace in which it is declared. If you want to use these Extension methods in another namespace, you will have to import the namespace. So here we are extending the framework’s string type which will find a given word in a string. Now this is a very simple method which I would like to use in various applications. So let’s compile the library and try using it in a VB.NET console application. Dim msg As String = "WelCome To India. India is growing as a popular IT Market for major development companies"
We will extend an ASP.NET MVC framework class by using Extension methods. We will extend the HTML Helper by adding an Extension method with the name “ReplaceWord”. The primary job of this method will be to find out the words which we would like to delete from the content. Likewise you can extend Framework classes, Custom classes and even Third party classes without inheriting them. Extension methods are a powerful means by which you can extend classes, interfaces, collection classes, enums etc. Extension methods extend the existing type system whether it is a framework class, your own custom class or third party API. You can also use Extension methods to extend sealed classes [Not Inheritable]. 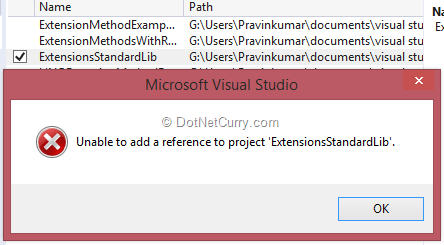 The advantage of using Extension method is that it appears in Visual Studio Intellisense when you access an object of type which you are extending. Extension methods can be used to extend Classes, Interfaces, Collections, Structures, Enum etc. You cannot write Extension Methods with the same signature. For example you are extending a framework class Object and your team member is also extending the Object class using Extension method. Accidently if the signature of both the method is the same, then it throws you an ambiguous exception when you will call the method. Avoid using Reflection while working with Extension methods. Sometimes you may want to call the non-public members of the class which you are extending using Extension methods, however that’s not possible because Extension methods can only access public members of the class. In such a situation, you may use Reflection. This will work but in case the class members get changed, then there will be an issue while calling the Extension methods. For example you are calling a method Foo() from the class in an extension method using reflection and someone changed the method from Foo to Foo1, it will throw you an exception. What if you declare an Extension method which is already declared by the class? In this situation, the compiler will give priority to the method which is declared in the class and not to an Extension method. Extension methods are scoped at namespace level. For example, if you are extending an object class using Extension method in ABC namespace, you cannot use this extension method in XYZ namespace. 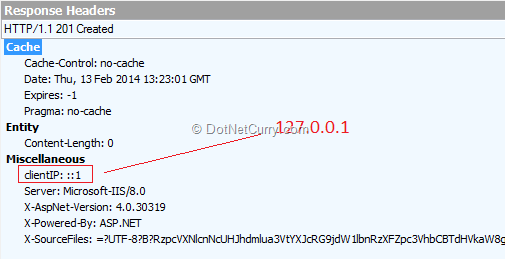 For this, either add an extension method at System namespace or import the namespace. In our case it is ABC. Extension methods are a special kind of static method, but are called as if they were instance methods on the extended classes/structure. Use them sparingly and only where required!